← Sew Grateful giveaway winner announced..
1. Where would you most like to be today. Exactly where I am – at home, on the sofa, chilling out over a cup of tea and madeleines, listening to the rain outside..
With my dog, Jessie the beagle. She’s curled up in a ball using my knitting as a cushion.. It was Fermat’s Last Theorem by Simon Singh (I told you I’m boring!) I can’t believe this book is not on Goodreads! It is a fascinating story about probably the most famous and notorious mathematical theorem and mathematicians who contributed to the proof that took 300 years to complete.. Would highly recommend! 5.What skill would you most like to have. 3. Tomatoes and Jasmine, a blog by a stylish lady who does gardening + sewing + knitting in Tokyo. 4. Etsy Addict, a blog by a very young sewing lady from New Zealand. I don’t have enough imagination to make up 5 questions, instead just tell us a story about your skill, hobby or just a favourite thing that you haven’t blogged before..
And now about madeleines.. 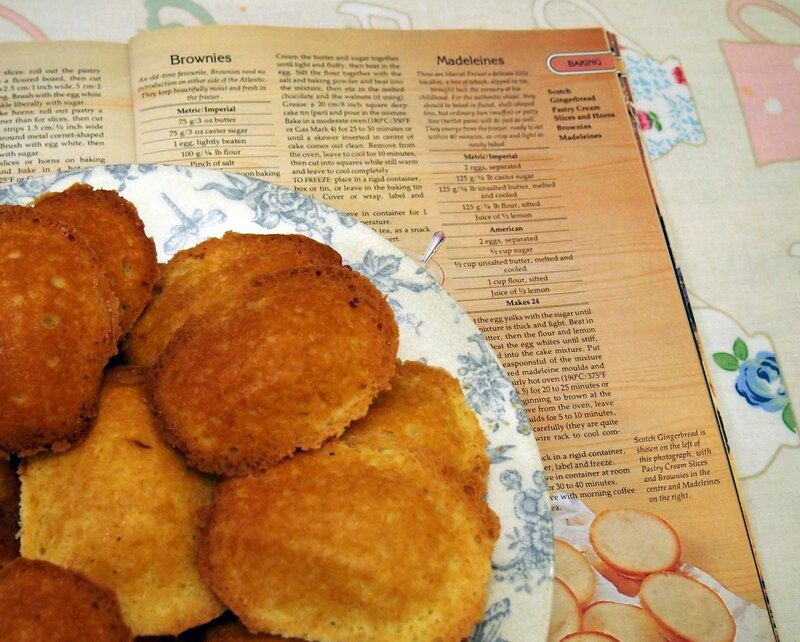 I came across madeleines first while reading Proust, who is one of my favourite authors. I read all of his volumes apart from the last one Time Regained (just couldn’t find it at the time). One day I want to do a Proust marathon and read all of the books back to back.. 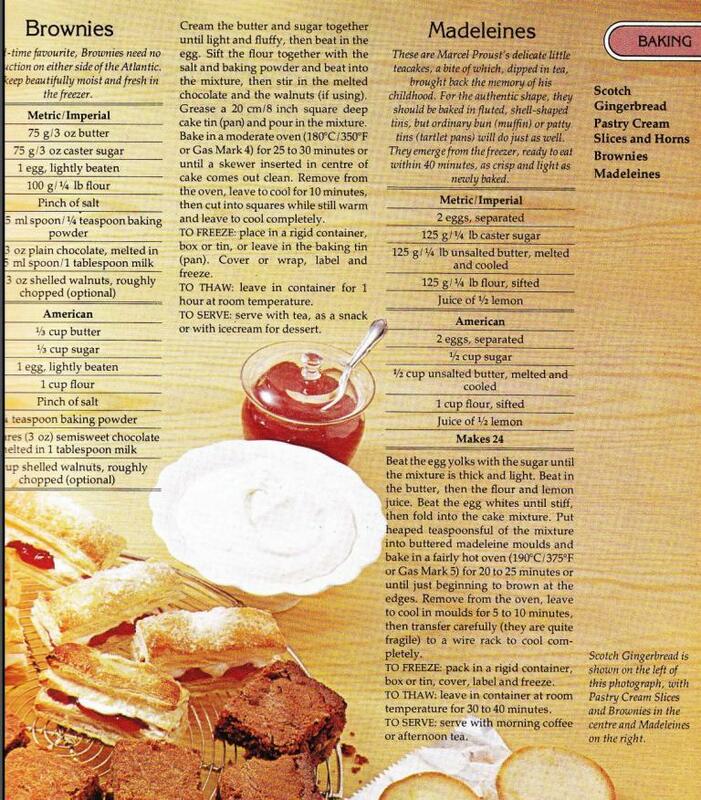 This recipe brought back memories about the book I read and loved.. I decided to try the recipe sometime… well, I’m ashamed to say it took me 9 years to actually try it.. 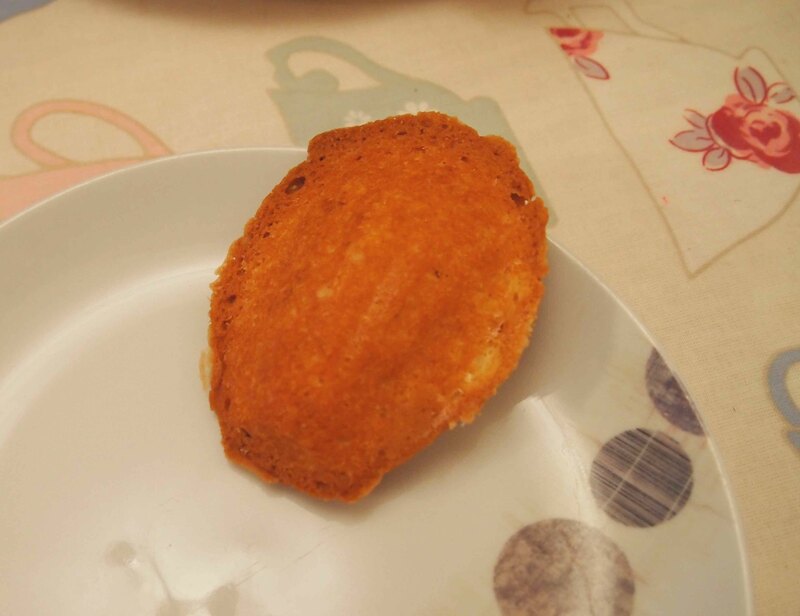 I made madeleines for the first time this Easter Sunday, and it was the first time I ever tried madeleines.. I am not that good at baking, so was quite surprised that they turned out just great! 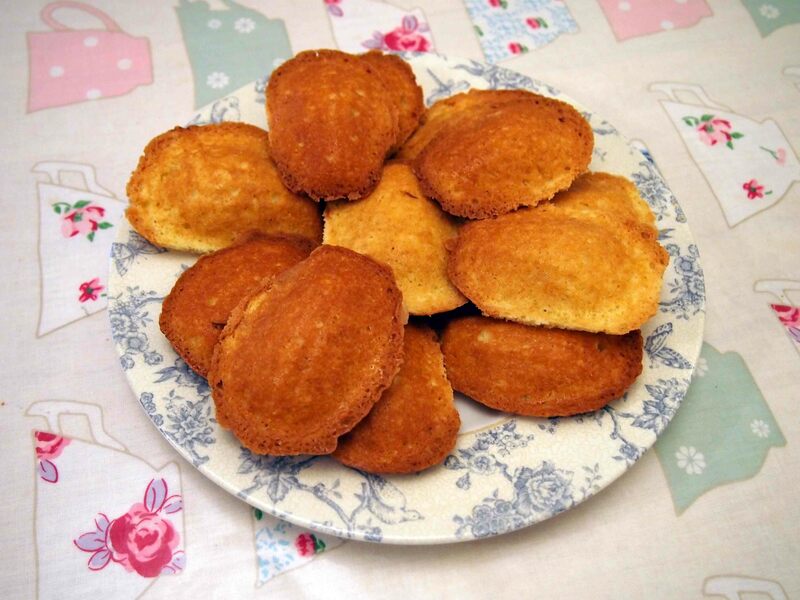 Well, not exactly as photogenic as Mary Berry’s madeleines.. but so irresistibly delicious! Crispy on outside and soft on inside.. loved them! and like a sea shell if you turn them over… well, kind of. Hope you have had a nice Easter break! Nice to discover new blogs and I didn’t realize your dog was a beagle! Hi Marianna! If you mean “Fermat’s Last Theorem”, it’s not mathematically “heavy” at all. You don’t even need to remember all your GCSE maths to enjoy the story. It’s not so much about maths as about people in the world of mathematics, and their true stories are more fascinating than fiction.. Thank so much for nominating me! The madeleines look delicious and so cool they look like sea shells. Reading fermats last theorem doesnt seem uncool to me, sounds facinating.